Four of Bristol’s best loved eateries are switching kitchens during October and November for four evenings of fine dining, sure to warm the cockles of the city’s food loving hearts. The chefs depart from their usual kitchens at The Star and Dove, The Pony & Trap, Wilks and The Pump House to each spend an evening cooking in the other three kitchens. The first evening is hosted by organising venue The Star and Dove in Totterdown on Tuesday 8th October, where Josh Eggleton from The Pony & Trap, James Wilkins from Wilks Restaurant and Toby Gritten of The Pump House will spend the evening cooking for The Star and Dove’s customers. 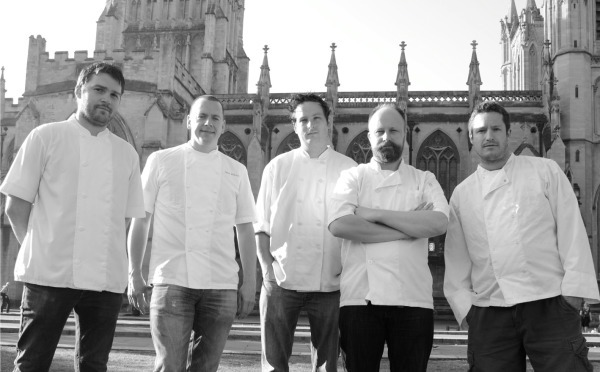 Bristol’s foodies are reaping the rewards this Autumn, as the respect and camaraderie among the city’s award-winning chefs continues to boost the city’s burgeoning status as a culinary ‘place to be’. 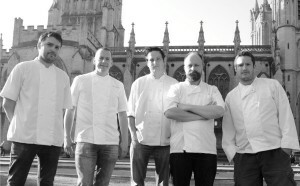 To find out more about ‘An evening with the Chefs’, visit the Star & Dove website.